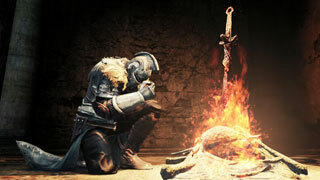 A crash issue is stopping PC Dark Souls 3 players from getting past the first bonfire. It's an unfortunate reality of PC gaming that sometimes games just crash. The latest game succumbing to this is Dark Souls 3. As you can see if you check out the negative reviews on Steam, the crash bug is hitting a significant number of players. There are also a number of similar reports on the Dark Souls 3 subreddit. The most commonly reported crash appears to be happening at the first bonfire. Another crash has been reported by players arriving at the Firelink Shrine. There's no common fix, but for some, choosing the class of Knight will result in no crashes. Another suggestion is turning the game's lighting settings to low. If their official Twitter is any indicator, Bandai Namco is aware of the issue. If any official statement is made on the issues, we'll update this post with it. For you Escapists playing Dark Souls 3, have you encountered these crashes yet? If so, how did you fix them? Let us know in the forums!